Our product range includes a wide range of temperature sensor. 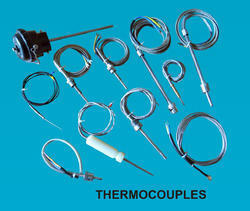 We are into manufacturing, trading, supplying, importing and exporting a commendable assortment of Temperature Sensor. The team of engineers at our company has the experience of designing these sensors and other equipment and so they are capable of offering some of the most efficient sensors to the industries. These are available in different sizes to match the client's requirements and are widely demanded in various applications. Looking for Temperature Sensor ?